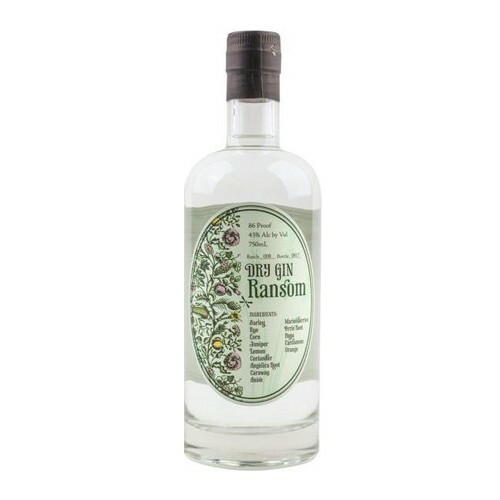 Fashioned after Holland’s renowned malt wine genevers, Ransom Dry Gin combines the maltiness and hop aromas of the style with a decidedly more intense botanical infusion. The selection of botanicals for this gin was done with tradition in mind, but we also sought to capture the essence of our terroir with the inclusion of the iconic Oregon Marionberry and local hops. The result is a highly aromatic gin with the most compelling attributes of both genever and dry gin styles. We believe speaks meaningfully to its Dutch heritage as well as its Oregon provenance. Excellent for sipping neat, or mixed in a Collins, Improved Holland Gin, Bramble, or Kopstoot.